Whether you already have a sociology degree or you’re considering pursuing this line of study, you’re probably wondering what types of jobs you can get with a bachelor’s degree in sociology. The good news is that a degree in sociology qualifies you for a wide range of career roles, and even more so if you pursue a graduate degree. Read on to learn more about some of the jobs you can pursue with a bachelor’s degree in sociology. While you do need to get at least a master’s degree to become a sociologist, earning your bachelor’s in the field is the necessary first step. These academic professionals work at colleges and universities, in government positions, and in consulting firms to study human behavior both in individual and group settings. This is a fast growing career, with 15 percent increase in jobs projected between now and 2022, and sociologist earn an average annual salary of about $74,000. These days, most police departments require a bachelor’s degree before joining the academy and becoming an officer. Because sociology is the study of human behavior, a degree in this field is a great way to prepare for a job in law enforcement. Police officers earn an average annual salary of about $56,000 per year; while this is not a fast growing career, jobs will continue to be plentiful for those who are able to specialize–which a sociology degree will allow you to do. If you’re interested in earning a master’s or Ph.D. and becoming a political scientist, a degree in sociology can help prepare you for those graduate level programs. About half of all political scientists work for the federal government, studying trends and other aspects of political systems, while others work for consulting firms and independent industry. Political scientists earn an average of $102,000 per year, and this field is projected to grow by 21 percent by 2022. For those interested in teaching, a degree in sociology can help lay the foundation for a solid understanding of students and how they learn and work together. In most states, you must have a bachelor’s degree in a related subject before earning a teaching certificate, and sociology certainly fits the bill. While teaching jobs are hard to come by in some areas, jobs abound in rural, urban, and other underserved parts of the country. Teachers earn an average annual salary of $55,000 per year. While it’s certainly possible to land a job with just a bachelor’s degree in sociology, in many cases it will be necessary to earn an advanced degree to pursue a fulfilling career in this field. 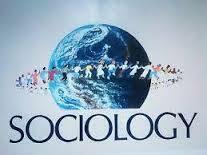 However, if you’re dedicated to the study of people and how they live and work together, a sociology degree is the best way to get started in making this your livelihood.